This holiday season I got the urge to make my own cards. 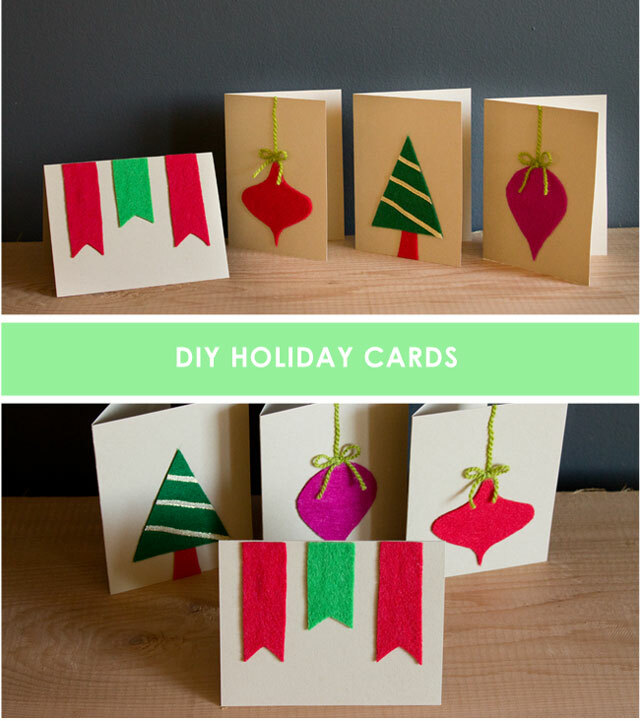 I used materials I had lying around and whipped up these cards in no time – a fast, instant gratification project. 1. 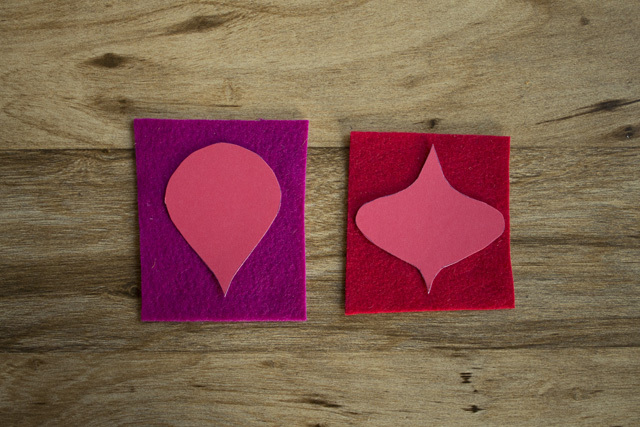 Draw ornaments shapes on cardstock paper with a pen. Cut out the shapes. 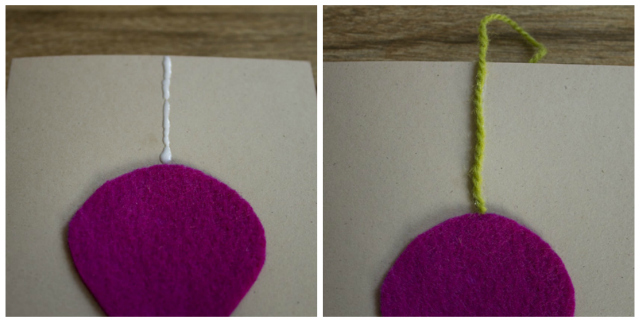 Then place an ornament shape on a piece of felt fabric and trace around it with a pen. Cut the shape, preferably with fabric scissors for a clean, crisp edge. 2. 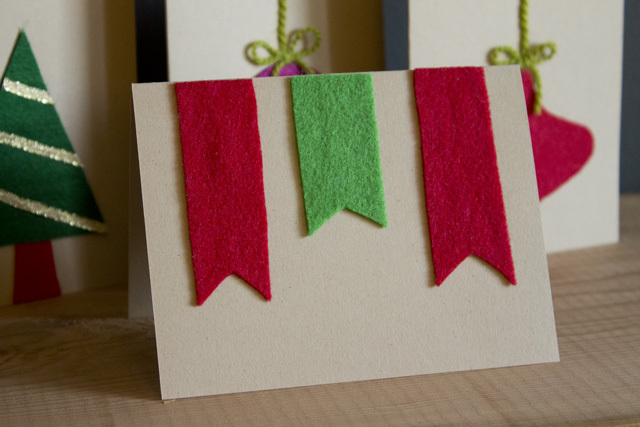 Spread glue lightly on back of ornament shape and paste it on the front of a blank card. 3. 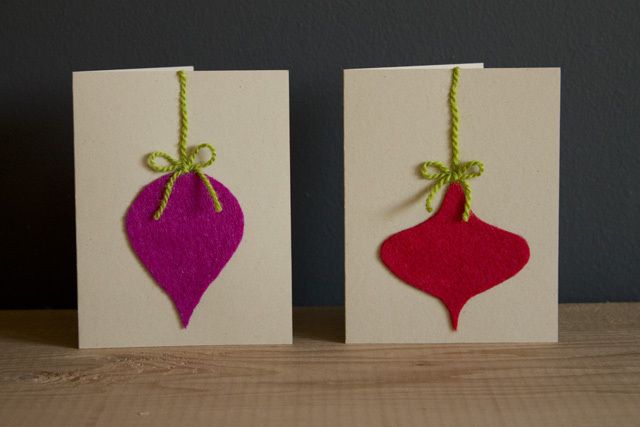 Pour a thin line of glue from top centre of the ornament to the top of the card. Glue a piece of scrap yarn on it. Then cut off the excess at the top. 4. Make a little ribbon with a piece of scrap yarn. Then glue it at the top centre of ornament. 1. Cut a triangle from a piece of green felt fabric. 2. 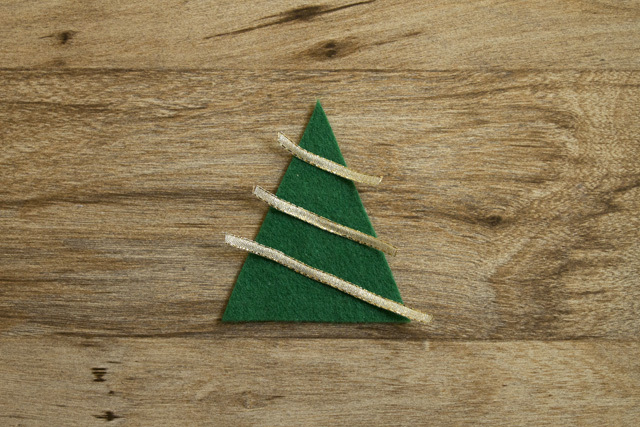 Cut three ribbon scraps and glue them on the diagonal on the tree. Allow to dry for 30 minutes. Then cut off the excess. 3. Cut out a little tree stump from a piece of felt fabric. 4. 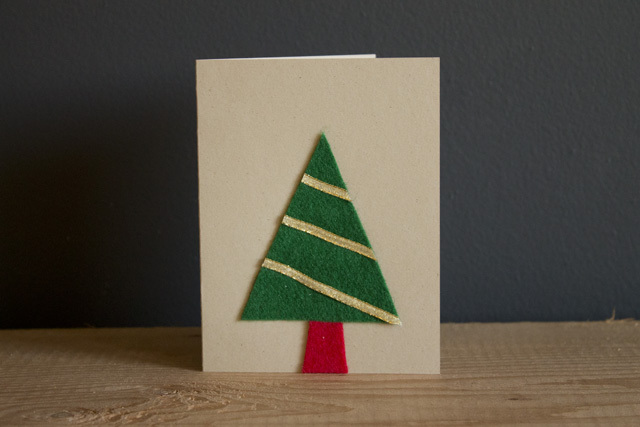 Spread glue lightly on the backs of the triangle and stump and glue on the front of a blank card. 1. Cut out a rectangular strip of felt fabric. Fold lengthwise. Draw a diagonal line from the point where the corners meet to a point on the folded edge about 1 cm in from the adjacent edge. Cut along the line. Repeat this step two times with other pieces of felt fabric. 2. Lightly spread glue on backs of pennants. And paste on the front of a blank card. If you don’t have felt fabric on hand, coloured paper would work just as well. I used felt because I’ve got heaps of it (it’s one of my favourite materials to work with).